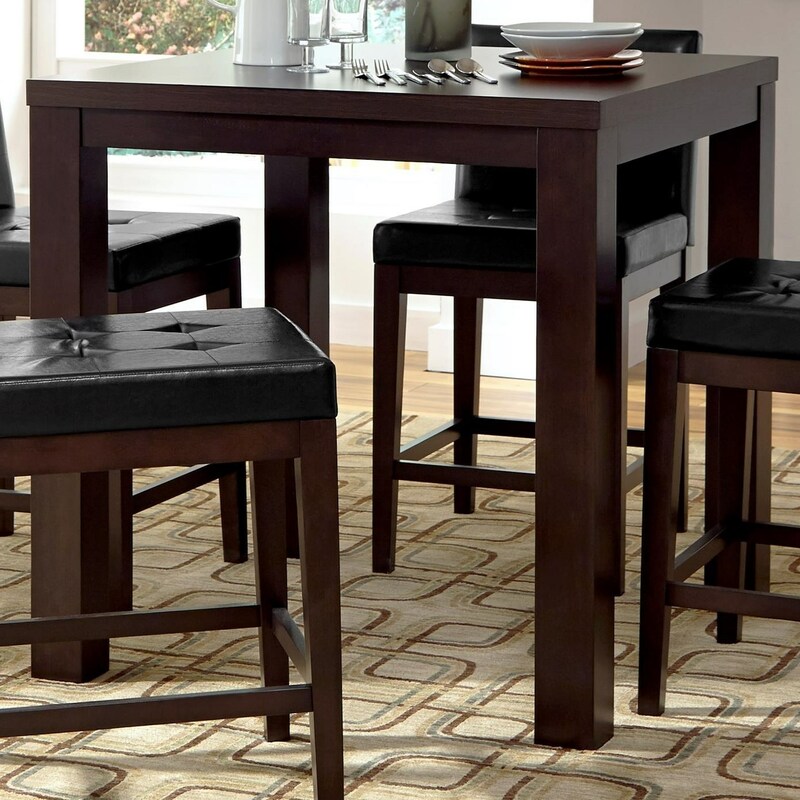 Have a side of contemporary style at every meal with this counter height dining table. As this table has been designed with small living spaces in mind, it is a perfect fit for an apartment or condo dining area. With clean lines and contemporary style, this dining table is sure to bring an air of sophistication to your next soiree. The Athena Contemporary Square Counter Height Dining Table by Progressive Furniture at Lindy's Furniture Company in the Hickory, Connelly Springs, Morganton, Lenoir area. Product availability may vary. Contact us for the most current availability on this product. Browse other items in the Athena collection from Lindy's Furniture Company in the Hickory, Connelly Springs, Morganton, Lenoir area.